Marketing is challenging and every day marketers need to face the new challenges. Although we typically share similar goals, some teams are stuck on hiring top talents, while others are having trouble finding the right technology for their needs. Whatever the case may be, there’s always at least one area that you can stand to improve. There is always an opportunity to optimize the various components of your strategy and turn your marketing into a more effective revenue generator. Generating traffics and leads are the top most crucial problems in marketing. When the day passes every time marketer needs to find good leads and better traffics for the product & their services. 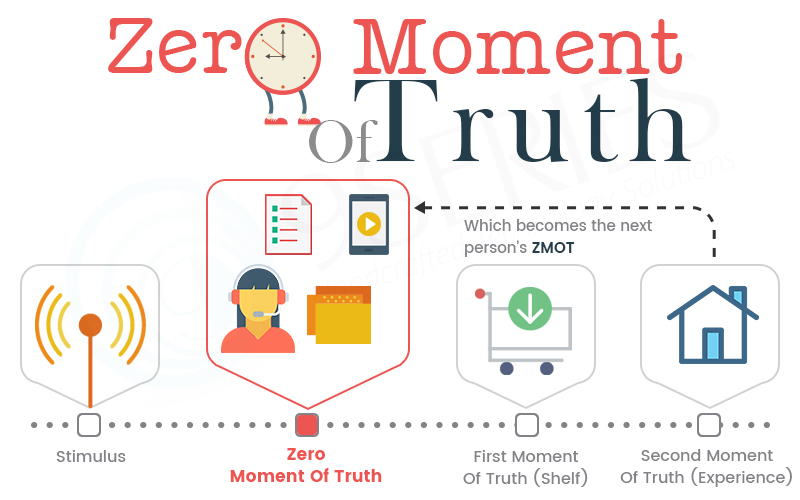 So, marketers are striving with producing and generating the traffic of interest for their content whereas there are a lot of platforms for marketers to publish their content and to promote the same. Are you truly creating high-quality content, for the type of content people would pay for? Do you know the type of content your audience actually wants? For example, HubSpot Research found that 43% of consumers wanted to see more videos from marketers, while only 29% wanted to see only publications on the blog. When you realize that you are creating the type of content your audience wants, the focus is on promoting it so your audience gets to know about the content. More than ever, people are flooded with content. Consumers should not use a search engine to find answers. Instead, the articles complete their news feed or buzz in their pocket by mobile notification. Measuring ROI (Return On Investment) of your marketing activities remained a major marketing challenge from year to year. But, it also continues to be a vital way for marketers to understand the effectiveness of every marketing campaign, content, and so on. In addition, proof of ROI often goes hand in hand with an argument for increasing the budget: no tracking of return on investment, no independent return on investment. No ROI, No Budget. But tracking the ROI of each marketing activity is not always simple, especially if you do not have two-way communication between your marketing activities and sales reports. When it comes to providing a return on investment, it is important to dedicate time and resources to link marketing activities to sales results. This implies utilizing both marketing software (such as HubSpot) and a CRM solution (such as the free HubSpot CRM) ties them together to close the loop between marketing and sales efforts with a service level agreement (SLA). This way you can see directly the number of leads and customers generated by your marketing activities. Ensuring enough budget is an urgent challenge for global marketing. And often it is easier to make more budget than expected, especially for small businesses that do not work with large and flexible marketing expenses. But the key to getting more money for your team might not be so complex. The key to unlocking the budget is to be able to prove the ROI (return on investment) of your marketing efforts. According to our report, organizations that can calculate ROI are 1.6 times more likely to receive higher budgets. Again, success with inbound marketing also plays an essential role in driving higher budgets. Powerful strategies obviously produce results and our data shows that those who feel confident in their marketing strategy are more than double as likely to get higher budgets for their marketing teams. But remember, inbound marketing is a long game. If you start slowly, you should not back down - in fact, you might consider doubling. Managing a website was the biggest challenge for marketers in 2016. And chances are that the performance of your website is on the top of the list. This is an asset that works 24 hours a day to attract visitors, convert them and help you achieve your goals, after all. Problems related to website management encompass various factors, from writing and optimizing content to designing beautiful web pages. Here are a few things that marketers can do to meet this challenge. First, read this report to see how your website accumulates on more than a million other sites. It also includes an in-depth analysis of the four most critical elements of site performance and design, average load time and website security, mobility and SEO. If your main challenge with managing a website relates to the skills and resources you have, you are not alone. This is especially true for small businesses that do not possess all the talents needed to cover the content, optimization, design and management of the website. As companies grow and technologies continue to evolve, training your team will become a major challenge for marketers. Whether it is their training on the concepts and tools they will use every day or ensure that they reach their full potential, the fight is real at all levels. To battle this, I will share some tips that I have used during my training to ensure that the concepts and tool tips have a lasting effect on your team and your marketing. To get a general idea of ​your team, take a few minutes to evaluate each of the strengths and weaknesses of your team, your skills and your passion for your business. Then, objectively note the priority (or level of importance) of their expertise and their contribution to the basic objectives (ROI) to date. 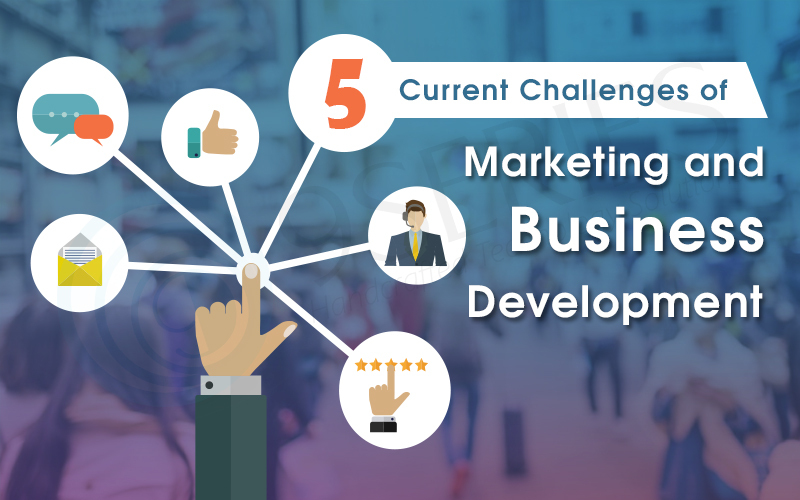 Herewith, a top mobile app development company in India​ shared our major 5 current challenges faced during the development of team to achieve the major objective of business. Marketing has made considerable progress from the meeting rooms and it's significantly more entertaining to play in the advanced advertising space than it’s ever been before. Today, it is an industry that prizes creativity, as well as depends vigorously on information and direction from analytical sorts; the individuals who know how to associate with others, and the individuals who appear to dependably exist on the main edge of innovation. Creativity is the key attribute that is most required and demanding innovation in 21st-century business characteristic challenges. Marketing has always been a creative development, yet digital marketing raises the entertainment to one of the development. Creativity admires to convey something new, however, advancement is about conveying something to the table that progresses the standards of the entertainment, as well as makes a uniqueness that can rapidly takes a limelight on one’s business from the rest. Those who innovate are proud to develop the guidelines and reclassify what it means to create. The ultimate marketing goal is to inspire, to motivate changes, empowers the purchasing of an item or draws individuals into your store, paying little heed to the time frame. Our heading gets the proper justification with the adage of Robert Rose, This is a new era of marketing communications and I think storytelling and the skills that are needed will become an increasingly important skill for businesses. Storytelling is not inventing a story. Indeed it’s all about portraying your business reasons on why one has invested or started their products to develop. Back in the time of print advertising, you really couldn't gauge an exact ROI on a particular crusade – such variety of external effects are dependable in play and moving the practices of the purchasing open.But today’s marketers have access to an endless supply of analytics tools and trackers that can quickly disseminate important information from seemingly complex data streams. Basically, advertising information is effortlessly more reachable today, and that implies advertisers can roll out improvements more rapidly and with more precision.Smart marketers of top mobile application development companies in India takes the advantages of the easy analytics to analyze their app real-market trends. Prior to the expansion of web-based social networking, internet promotion, and content marketing, most campaigns provide unidirectional efforts. Generally, advertisers would make a crusade, print it or prepare it for conveyance through TV, print, or radio, and afterward kick back and trust the customer who responds as desired. Today, though, creative and innovative sorts can initiate dialogue and two-way communications with the target audience – implying that boatloads of criticism and significant data can be gathered in a matter of minutes from the base of prospects and clients. Advertisers can have good times and interact with the audience, and they’re actively welcoming loyal fans to participate in the fun and create user-generated content to upbeat the brand awareness. It’s gotten a lot more social in the marketing world these days. Unless you were a superior player in 2008, a couple of organizations could bear the cost of the six-figure sticker price that cost to deliver a 30-second TV spot bound for release on a national television. Only a couple of years prior, however, a little startup called Facebook was propelled, and it everlastingly changed the way we consider promoting. With more than billions of active users, a smooth, budget-friendly promotion campaign can be made to individuals for a great deal sort of what you'd hope to pay for comparative presentation through conventional advertising marketing mediums. Marketing is far more open to the individuals who have something to state – not just the individuals who can bear to say it. Marketing maniacs are the one’s who are an insightful and inquisitive group, and the present digital marketing realm is one that keeps us on our toes. Rules change, inclinations and preferences move, and the group of spectators is just a stage or two far to put an appearance in another web-based social networking stage, a bit of innovation, or social impulse that can reclassify building a brand. As people are getting curious by nature, marketers today like that the industry continually redefines itself. Advertisers fall in love with digital marketing, by observing the passion and fervor of spreading the brand's awareness. 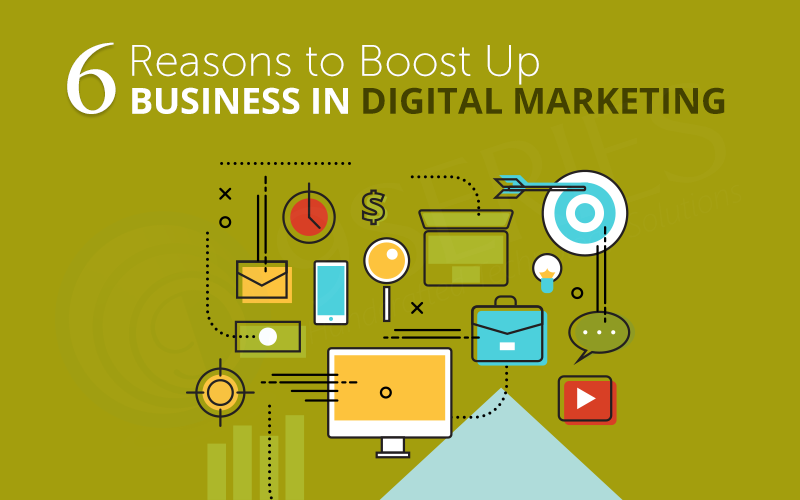 Cherish your Business more with cohesive strategies and tactics of digital marketing. For further details, get in touch with our professional digital marketers today.